Whether you’re a seasoned skier of 50+ years or you just stepped off the mountain after your first lesson, we’ve all had to learn at some point. The initial fear combined with anticipation and excitement is an experience we all share, regardless of when we rode our first chairlift and took our initial run down the bunny hill. Some of us started off with a group lesson, while others learned from family or friends and there’s really no “wrong way” to go about it. But some methods are easier, more comfortable and, overall, more effective than others. For many first-time skiers and snowboarders, a poor introduction to the sport is hard to overcome. I know from experience, having attended my first lesson with at least 10 other kids and then returned to ski with my family where, knees buckling and skis crossing over each other, I sobbed all the way down a green run. It took me ten years to get back in ski boots, but some people never try it again after a miserable first day. That kind of experience is tough to come back from, which makes picking the right ski school especially crucial. 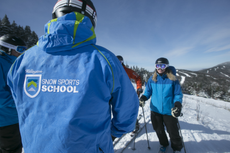 We’ve highlighted the nine best ski schools in America, taking into account factors like instructor to student ratio, instructor qualifications, variety of terrain, learning-specific terrain, types of lessons available, money back guarantees, new features and more. When your first lesson is enjoyable and productive, it sets the tone for a lifetime of fun (and safe) skiing or riding. Deer Valley is all about high-end convenience and helping you get the most out of each visit. Though it can get pricey when it comes to lessons, Deer Valley offers many options and personal attention from instructors. The student/ instructor ratios are among the best in the country and their state-licensed childcare facility is top-notch too, leaving parents free to focus on learning the sport. For kids lessons, the instructors will teach children as young as three and for kids five and up, all day lessons help cement new skills and build confidence. Set in the Green Mountains of Vermont this ski area is among the best in the northeast, especially for families. There aren’t too many mountains out there that guarantee you will enjoy learning, but Smuggs does—and offers money back in the event you don’t have a good time. 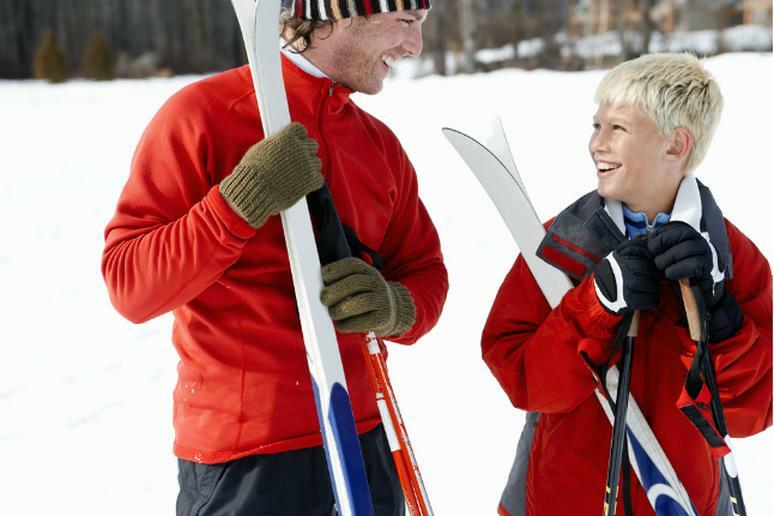 With their award-winning school—Snow Sport University, tons of children’s activities and all-star staff, Smuggler’s Notch is a top choice for those who want to learn (or improve) at any age. Click here to see more of America's best ski schools.